You can’t learn everything you need to know about a home just by looking at it. Hire On Point Property Inspectors LLC to learn the secrets of your new home. We conduct new construction inspections in Dade City, Wesley Chapel, Florida and nearby areas. Our home inspector uses the latest technology on every job. No matter how large your home may be, you can trust us to tell you about every detail. Call 813-469-4968 now to schedule a new construction inspection in Pasco County and surrounding Bay area. We’ll complete your inspection in about four hours. A home inspector will check for safety hazards and other issues you should be aware of. We also conduct roof and Chinese drywall inspections. The latter is important since some homes may have a high sulfur content, which can cause breathing issues. Your home is one of the biggest investments you’ll ever make. Hire On Point Property Inspectors LLC to find out if it’s move-in ready. We’ll check the important areas of a home so you can see what condition it’s in. You’ll know whether to buy a home or continue your search once you’ve read our report. Call 813-469-4968 now to schedule a 4-point inspection in Pasco County or surrounding Bay area. WHAT ARE THE KEY AREAS OF A HOME? We’ll deliver a comprehensive report to you soon after we finish examining your home. Contact us today to learn more about the 4-point inspection process. We are based in Dade City, Florida and serve Wesley Chapel, FL as well as Pasco County and surrounding Bay area. 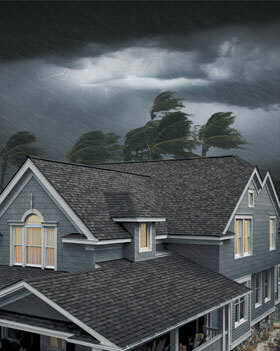 Do you know if your prospective home will hold its own against heavy winds? If not, contact On Point Property Inspectors LLC. We’ll perform a wind mitigation inspection to check your home’s safety features. A home inspector based in Dade City, Florida and servicing Wesley Chapel, FL will go over your report with you so can know how sturdy a home is. Insurance rates can decrease by thousands when you get a wind-mitigation inspection. Call 813-469-4968 now to schedule a wind mitigation inspection in Pasco County and surrounding Bay area. Make the right call for your family. 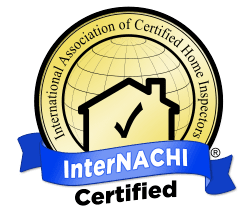 Contact us today to speak with a knowledgeable home inspector in Dade City or Wesley Chapel, Florida about your prospective home. Your drywall is discolored or drooping. You see small, pinpoint holes in your drywall. You spot maze-like patterns in your floors or walls. Wood feels hollow when you tap it. 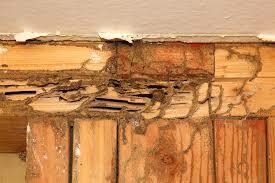 Most housing contracts require the seller to give potential buyers a termite clearance letter. It’s up to the buyer to pay for the letter, however. Don’t buy or sell a home infested with pests. Contact us today to learn more about the warning signs of wood destroying organisms. 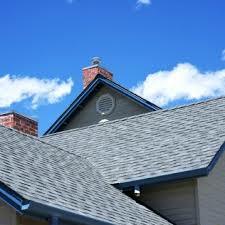 One area of a home that requires routine inspections is the roof. A leaky, damaged, or defective roof puts the entire contents of a home and its occupants at risk. In Florida, it is especially important to get regular inspections due to tropical weather conditions. Proof of roof replacement, or a Roof Condition Certification Inspection may be required for homes that are 25 years old and older to be insured. 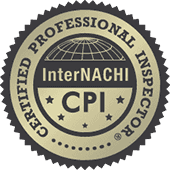 Schedule your needed inspection with a licensed Home Inspector Today.